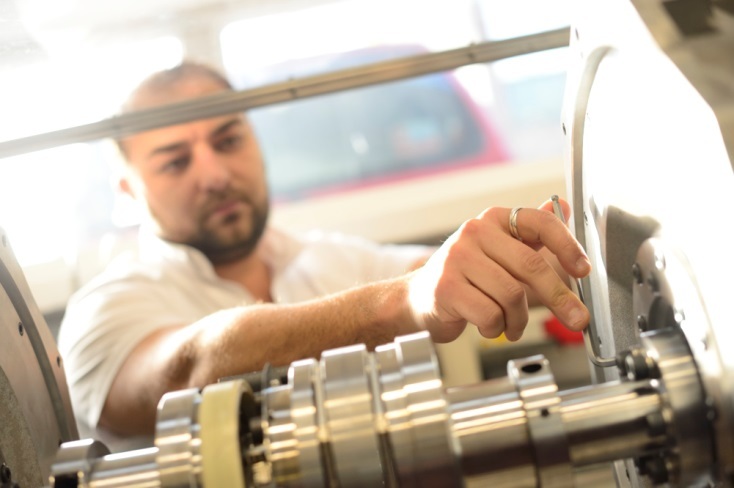 2015 started with a boom for Aerospace at Nottingham –the Aerospace Technology Institute (ATI) sent the conditional offer letter for funding to establish a 2-Shaft Test Facility on the eve of the Christmas holidays. On 1st April 2015 the project kicked off. The new facility to host the test cells is currently shaping up nicely with the moving in of personnel due at the end of Q1 2016. In February 2015, the IAT and INNOVATE researchers attended the More Electric Aircraft (MEA) conference en masse in Toulouse and I was a panellist in the closing session. This highlighted the strength of activity in the field at Nottingham. INNOVATE presented several posters on their MEA work in particular. This year the IAT has also worked hard to develop collaborative activities, hosting a number of UK and international delegations and visits. International engagement started with our good friends at Ohio State University (OSU) in early March. We were also delighted to host various colleagues from Canadian National Research Council (NRC) on three separate visits as we look to build the relationship with them and submit two project ideas developed this year in 2016 for funding. In the summer we also hosted Virginia Tech students on summer placements in our gas turbine and power electronics labs. 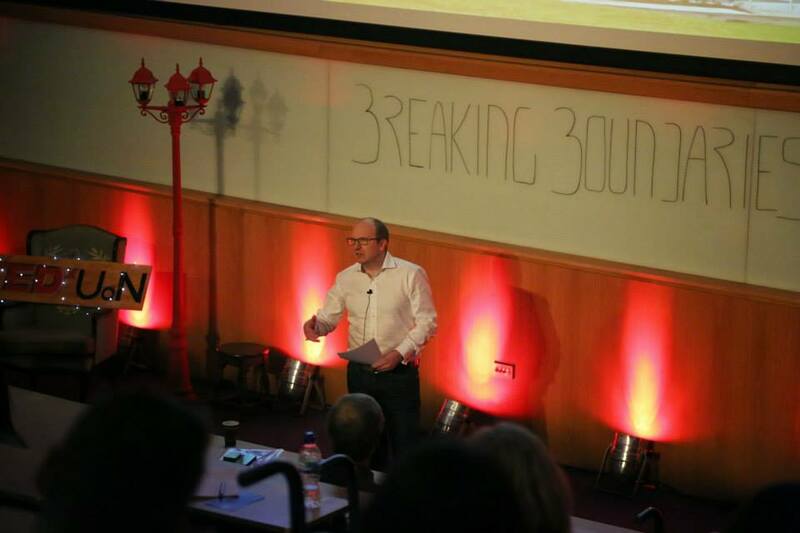 March also saw me invited to give a local TEDx talk reflecting on innovation in aerospace, which was a great experience. 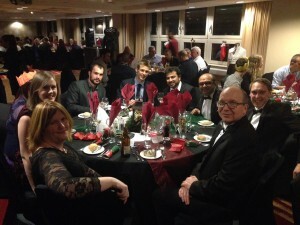 A dedicated blog entry was written on this event earlier in the year. 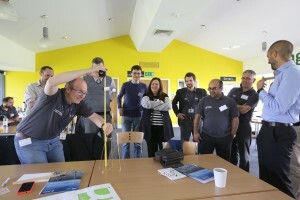 In April we launched our forward-looking programme, MARCh, the Multidisciplinary Aerospace Research Challenge, as reported here, which saw participation from 37 PhD students and research colleagues from across The University of Nottingham. 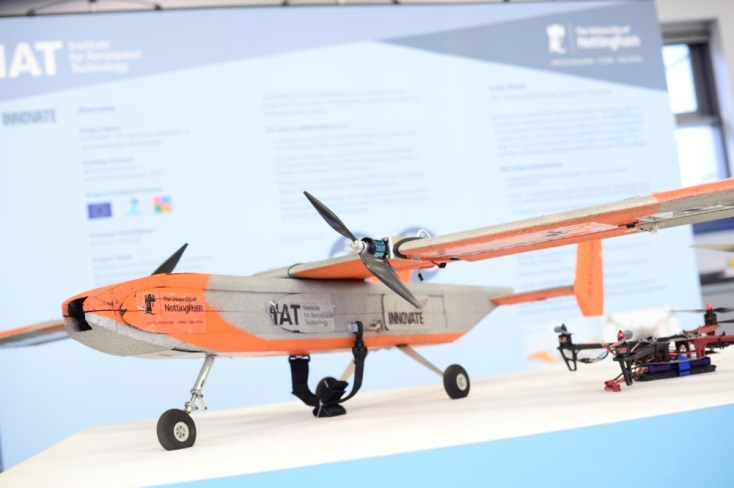 Participants took on seven key challenges currently facing the wider aerospace industry and developed a series of innovative and interdisciplinary projects to address these. On the back of this event we hosted a Dragons’ Den event at which the best project ideas were put to the IAT Industrial Advisory Group for selection. Four projects were selected for funding and are currently in progress. These include projects looking at fatigue and mental health of pilots with the School of Psychology; using UAVs for precision farming with colleagues in the Schools of Bioscience and Computer Science; and novel insulating coatings for electrical wiring between research groups within the Faculty of Engineering. The event was a resounding success and will be followed up with a second event, MARCh2: Space. This will take place in March 16, with support from the EPSRC, and will focus on material sciences, big data and positioning for the UK Space sector (for more details contact m.smith@nottingham.ac.uk) . Postgraduate training also received a boost this year, with the award by the European Commission of our second Marie Curie programme, INNOVATIVE. This project will start in March 2016 and will follow on from the ground breaking INNOVATE project, which is due to finish in 2017. The exciting implication for this is that 2016 should see us welcome twelve early career researchers through INNOVATIVE and see seven technology demonstrators come together from INNOVATE –so, watch this space! We are also delighted to announce that the University is making great progress on the development of the new undergraduate Aerospace Engineering course, which will launch next October. These capitalise on the research excellence and heritage we have developed at Nottingham in Aerospace over the years. We cannot wait to welcome the first students in October 2016. June was very busy, with the IAT exhibiting at the Paris Airshow. This was a key success for us and provided a great opportunity for us to meet with our partners and the wider aerospace community at this great annual celebration for the sector. June also meant, for me and for the guys in my group, attending and presenting at the ASME Turbo Expo conference in Montreal, followed by an IAT research development trip on the East Coast of Canada, with fantastic support from the FCO and UKTI. The links to the NRC and others grew stronger from there on. As a result of these interactions I should be talking at the Aerospace Innovation Forum in Montreal next April, as we continue to cement some of those links. 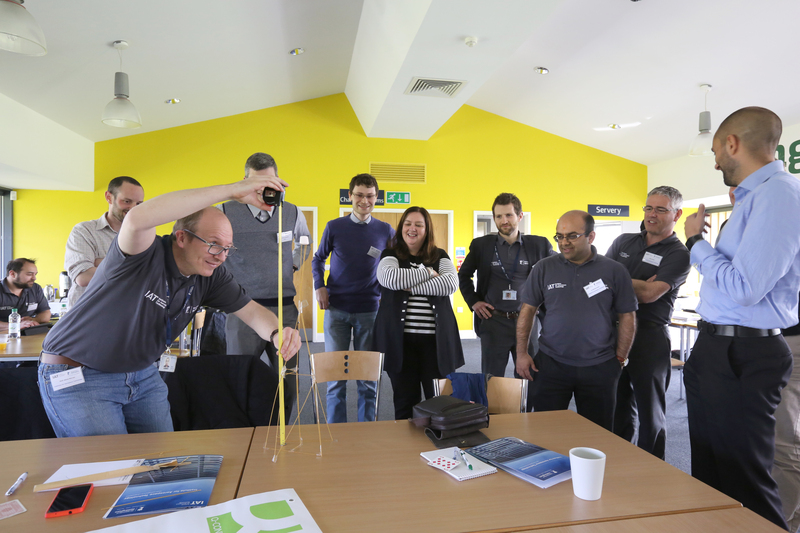 In July, and just before the summer break, we also ran our first Aerospace Summer School, linked to INNOVATE, with external speakers and teachers from a range of key organisations including e.g. NAFEMS and Cenaero. July also saw the arrival of our new programme manager, Victoria Macfarlane, in charge of managing the IAT Team and the formulation of the IAT strategy. Earlier this year, Fran Houldsworth also joined us to manage the INNOVATE programme, as did Rebecca Wicks. August was quieter. It marked one year in the Director’s job for me and provided an opportunity to reflect. We also hosted an ATI visit and provided work placement for a young aspiring aerospace engineer who helped build our small flight simulator. In September I was delighted to chair a fireside chat with representatives from Rolls-Royce, EPSRC, the DfT and INNOVATE UK to discuss about innovation (the successful exploitation of science and technology) as part of an EPSRC-funded event organised at Nottingham to talk about impact (the impact of research). Late September also saw the first ATI Specialist Advisory Group (SAG) meeting for Propulsion take place in London, on which I represent academia with two other colleagues from Oxford and Bath. October saw the UK hosts Aerodays in London, for the first time. The IAT had a strong presence throughout, taking part in meetings and having demonstrators and activities on display. Dr Serhiy Bozhko presented on the Power Electronics Group work in Europe during one Clean Sky session and various projects funded through the European Commission, such as FP7 E-BREAK which my group leads for Nottingham with Rolls-Royce, had a booth. November was very busy. 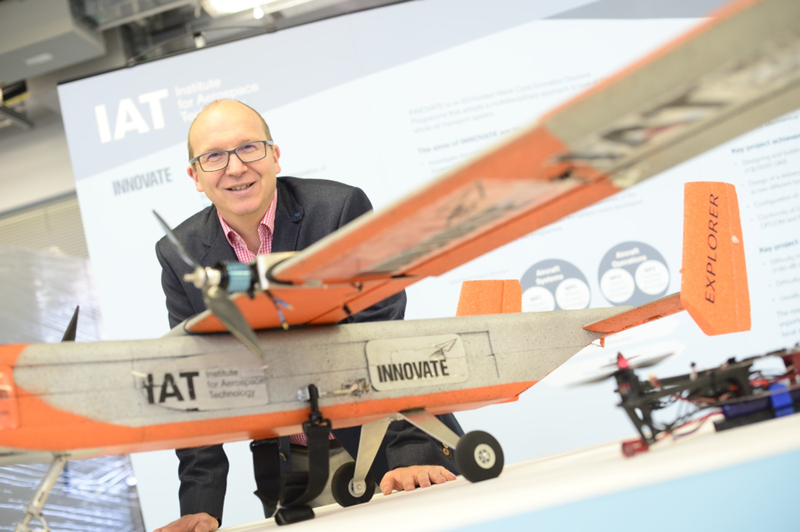 First, we had our Annual Showcase Event on the 5th at which we took stock of an incredible year, celebrating our successes in Europe, with two Core Partnerships in Clean Sky 2 achieved this year, and also our growing collaboration with the ATI and the supply chain. We noted the award of the ATI-funded HEATSSIM contract led by Romax and announced our plans for the next few years, starting with the publication of our Strategy Refresh due in 2016. HEATSSIM also launched formally this month and we also hosted a visit from The University of Nottingham Chancellor, Sir Andrew Witty. 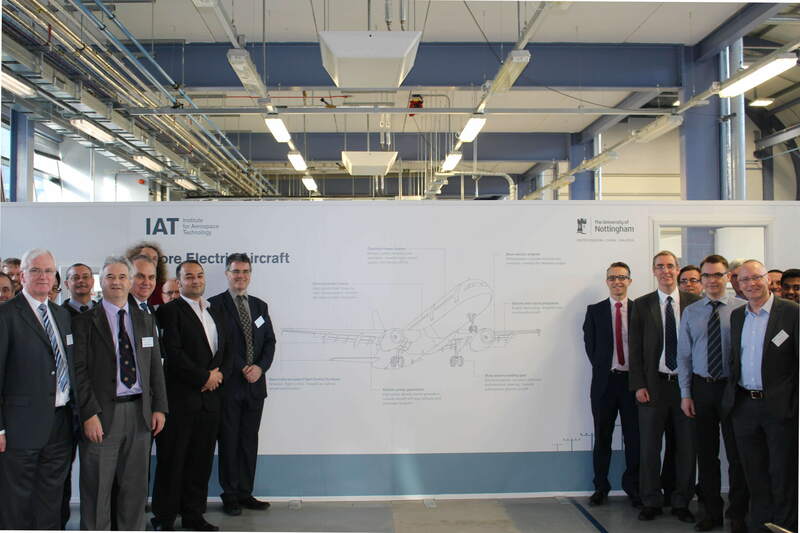 In November we also hosted Ann Soubry as the Government formally announced the 2-Shaft Test Facility award as well as celebrated the opening of our new Aircraft Electrical Power Systems Innovations Laboratory, led by Dr Serhiy Bozhko, on 25th November. November also saw confirmation of the government strong support for the sector as part of the publication of the Comprehensive Spending Review. 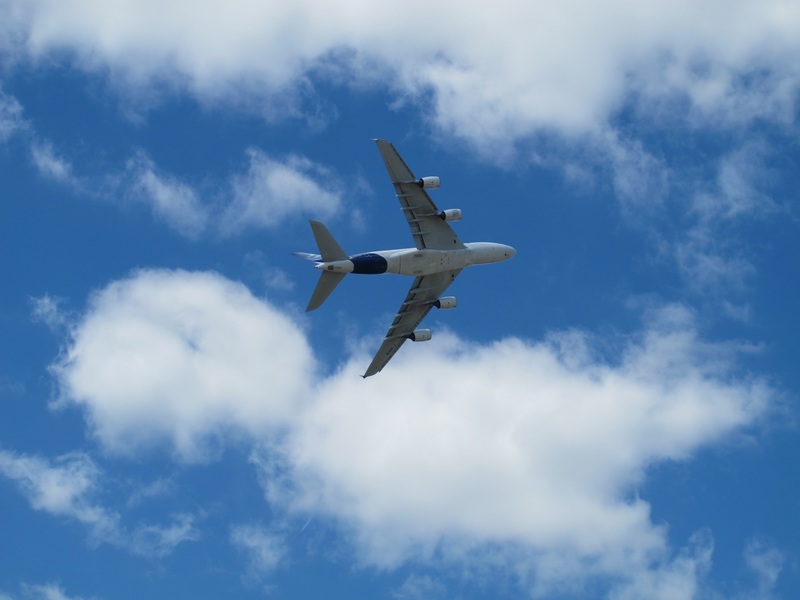 The ATI received a strong vote of confidence with an additional £900M committed to aerospace R&D, which is extremely valuable to the future development of the sector. As 2015 draws to a close, it is satisfying to sit back a bit and realise what we have accomplished; especially as this is the tip of the iceberg in many ways. We are very much looking forward to 2016 and we wish you all, our colleagues, friends and partners the very best for the festive season and the New Year to come.